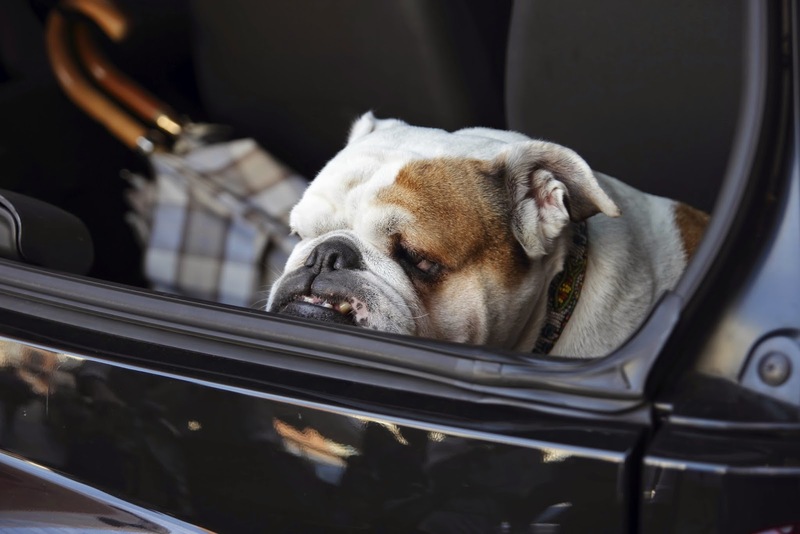 Does your dog throw up in the car when you go for rides? He may be experiencing typical motion sickness, just like some people do. Motion sickness usually begins very shortly after starting the car ride. The dog will begin to drool and then vomit. It’s not serious, but certainly not something that we like to clean up! To solve the problem, first try acclimating the dog to car rides. Do this by simply putting him in the car for a few minutes each day without going anywhere. Then try just going down the driveway and back, and the next day going around the block. Gradually build up the distance and time the dog rides in the car. Sometimes this will help to decrease the dog’s anxiety over riding in the car and may help to decrease vomiting. If that doesn’t work, there are some over-the-counter medications you can try. The medication will need to be given about an hour before the car ride. Ask your veterinarian for a recommendation as to what drug to try and the dosage for your pet. (Never give any medications to your pet without your veterinarian’s advice!) These drugs are safe, with drowsiness usually the only major side effect. But since your dog isn’t driving the car, that shouldn’t be a problem! If over-the-counter drugs don’t work, your veterinarian may be able to suggest another method for curing the car sickness.